If you are like me you hate the myriad of User Manuals that come with all the stuff you purchase. We allow these very manuals to sit around and collect dust, and then we most likely throw them away. And according to Murphy’s Law, after you throw one away, you need the manual to troubleshoot the item. Well, I’m here to say that your troubles are over. Store the manuals in Adobe PDF format on a computer drive. Almost every manufacturer has a website today and they usually have support areas that include the User Manuals for the devices. If you make a conscious decision to visit the websites for the products you purchase and download the manuals, you can save the mess of storing paper manuals and have ready access to them at anytime. Inherently there will be some manufacturers that do not have their User Manuals converted into PDF format. 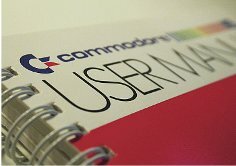 For these User Manuals you have one of two options, go to Google and do a search for it (because there are sites out there collect User Manuals), or you can scan it yourself. In today’s hi-tech world I believe that every household should convert just about everything into PDF for storage, and a high-quality page scanner is a necessity. I recommend Fujitsu’s ScanSnap products. These scanners are relatively low in cost and can scan any size document. These scanners scan both sides of the document at the same time, OCR the page contents for searchability, and even crop and rotate the pages automatically. Once you download or scan your User Manuals, store them logically on a drive that is backed up. I recommend that you create a folder called Manuals and then create a subfolder for each manufacturer. Inside the manufacturer folder create a folder for each item. Store them logically so you can find them easily. I have even been on a business trip and needed to access the User Manual for a video camera I was using. Because I am an Apple user and have Back to My Mac setup, I was able to use my laptop 3,000 miles away and open the User Manual on the desktop computer back at my house. There are many ways users can connect to their main desktops at the home or office; an easy way is to use GoToMyPC. By having a little forethought you will save yourself a whole lot of grief and be ready at a moments notice any time you need a User Manual for any item in your home.